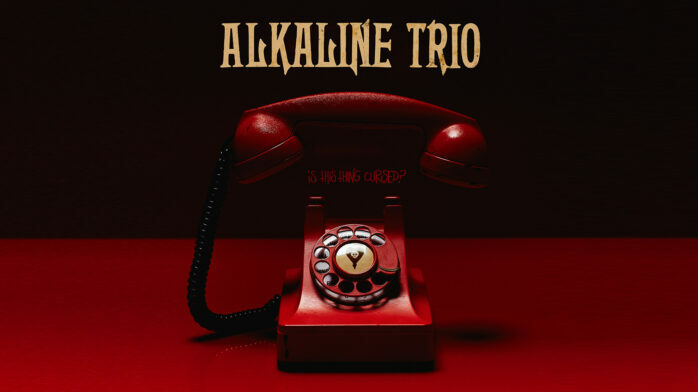 Alkaline Trio released a new song off their upcoming album today and you can listen to it below. Is This Thing Cursed? is scheduled for release on August 31 via Epitaph Records and now you can listen to “Is This Thing Cursed?”, the title track off that album. There’s a good chance they’ll be playing that song and all your favorites at Riot Fest this September. Get your tickets now. In the meantime, learn the words to “Is This Thing Cursed?” so you can sing along like a pro.